Good day to all my party people and fellow sneaker heads. I have been working events within the sneaker community for the past 4 years and it has been an incredible journey so far. I started out by handling very small events for Adidas / BX Sports and now we are the go-to company for all things sneaker related. Whether it’s conceptualizing & marketing a full-fledged sneaker and lifestyle trade show, creating promotional and marketing campaigns for brands and stores, or fully producing a sneaker related event, we do it all under our SM EVENT GROUP & DJUSA umbrella. 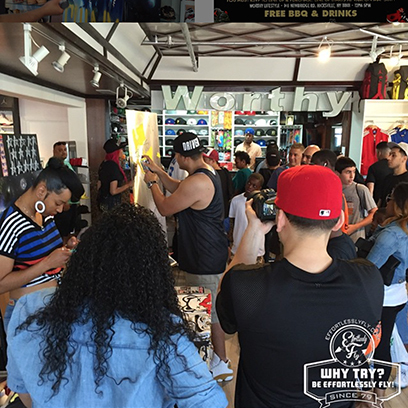 On Saturday May 30th, I teamed up with Worthy Lifestyle & Jordan Brand to co-produce and manage their Air Jordan Restock Grand Opening & BBQ at the extremely popular Worthy Hicksville location. In addition to the BBQ, the music was on point. 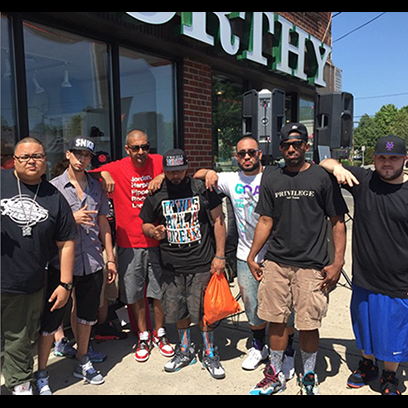 I brought in some heavyweight DJ talent to help me out including HOT 97's Heavy Hitter DJ KAST ONE along with DJ Fatfingaz, DJ Trase, DJ Triple Threat and DJUSA's very own DJ Overdose to spin tunes all day. 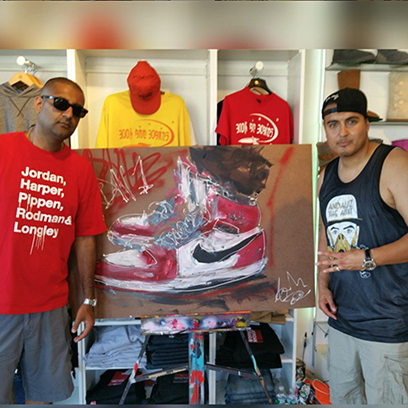 Guests were able to enjoy the music, shop, and purchase retro Jordans at retail price among other things. 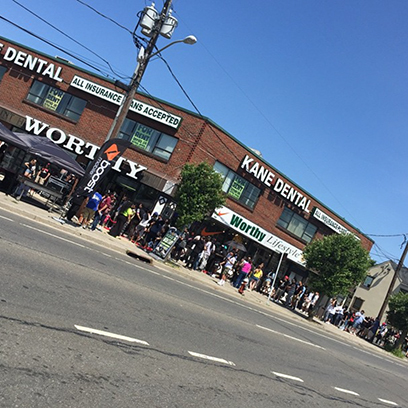 Thank you to all who came to support what we do including chief guests including DJ Spinbad (Russel Peter's Official Tour DJ), DJ Clark Kent (a very close friend of the SM / DJUSA family), Slow of Slowbucks, Andaluz The Artist, Sheek and the team at Think About It Clothing and all of our regular supporters. 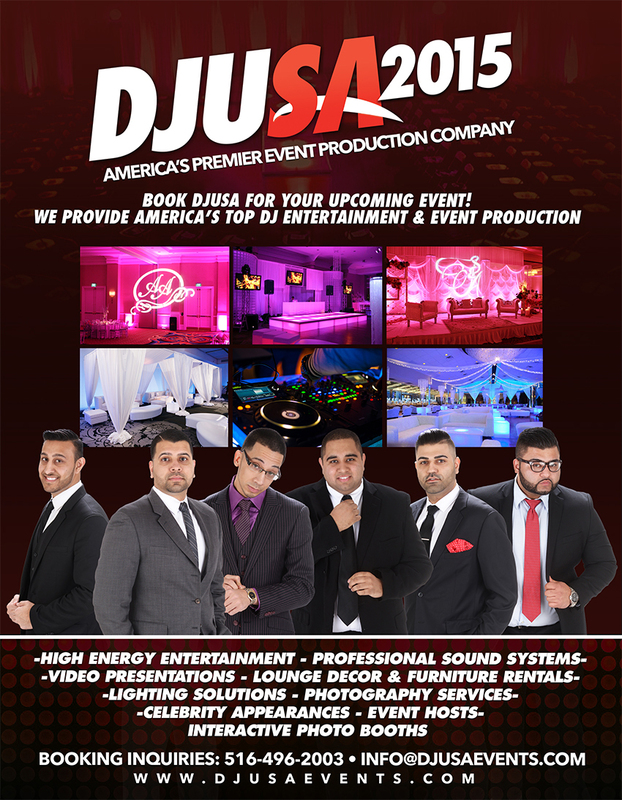 Follow me on IG @DJSHARAD to keep up with our national events and don't forget to find me on the web at www.DJSHARADNYC.com. Until next time !!!! ALOHA DJUSA Newsletter readers, I just got back from a weeklong trip to Maui, Hawaii and I’m ready to tell you guys all about my wonderful trip. 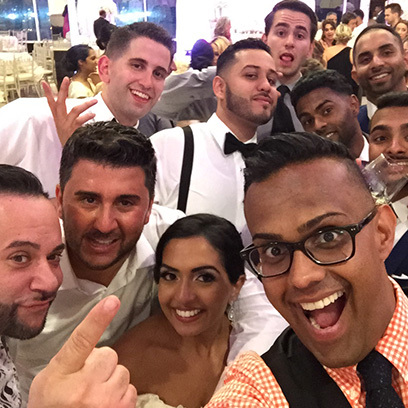 You might have heard of a destination wedding, but I had a pleasure of DJing a destination 40th birthday in Maui!!! 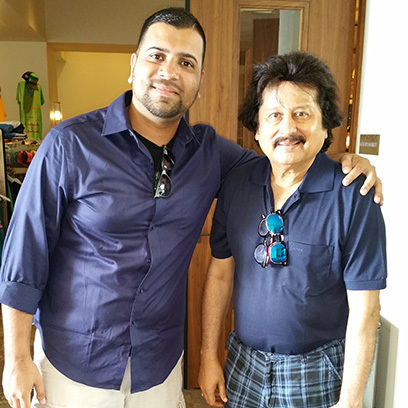 Other than rocking events non-stop for 5 days in a row, the highlight of my trip was meeting and chatting with the Indian Ghazal Legend, Mr. Pankaj Udhas. I even made sure that he was on the dance floor dancing with all the guests. 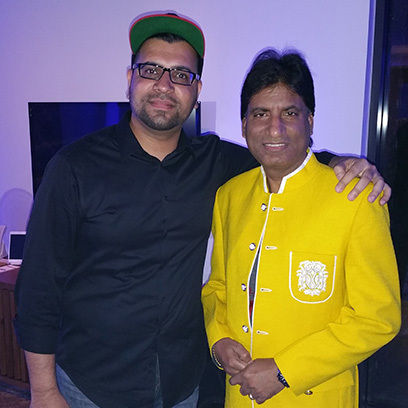 I also had a great time performing with Raju Srivastav (Comedian) and DJ Aqeel who came all the way from India to entertain the guests. Each night the celebration continued until 2 or 3 in the morning at the newly built Andaz Resort. Dholnation Dholis’s Jess and Malinder came in from LA to add to the energy of the party, taking all of the birthday events to another level. MC Kayo rocked the microphone and made sure that energy level stayed at the highest level each and every night. Guests were wowed by the beautiful ocean view and enjoyed some delicious continental cuisine. One word to sum up my trip to Hawaii: AMAZING!! 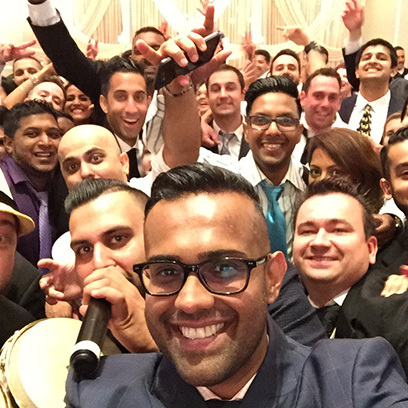 Follow me on all my social media @djrohitnyc and check out all the pictures and videos from my trip. We got some news to be shared very soon! Stay tuned! Check out Ash G on SoundCloud! This past Memorial Day weekend, I was personally invited by my friends W&W to join them at EDC (Electric Daisy Carnival) New York at Metlife Stadium. EDC was such a great experience!!! I had the opportunity to network with some of the best DJs in the world, such as Hardwell, Martin Garrix, Chuckie, Krewella, Afrojack and many more. Hardwell's set was one of the best sets I have ever seen. The energy, lights, and his music selection were phenomenal. 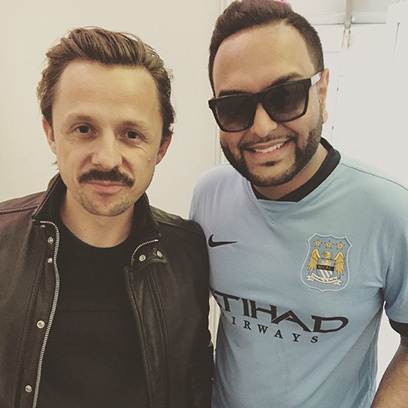 After his performance I had a chance to show him my new track “Madagascar” which is set be released later this year. Follow me on my social media to keep up with my tour dates and productions. What’s up party people? I’m checking back in from another very busy month. 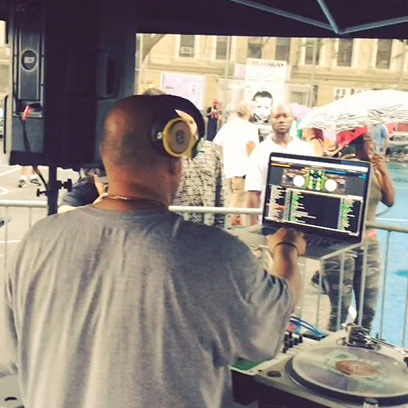 A couple of weeks ago, I had the opportunity to attend and run sound at the legendary Old School Jam held in Harlem. 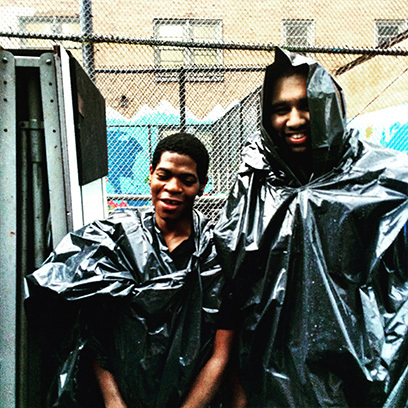 Each summer, DJ Ted Smooth and his friends throw a jam in the park highlighting the four elements of hip-hop: the DJ, the MC, graffiti, and break dancing. Lots of people in the community came out to enjoy the music and great food. Although the weather did not cooperate and it torrentially down poured, we kept the music and party going as everyone took cover under the tents!!! 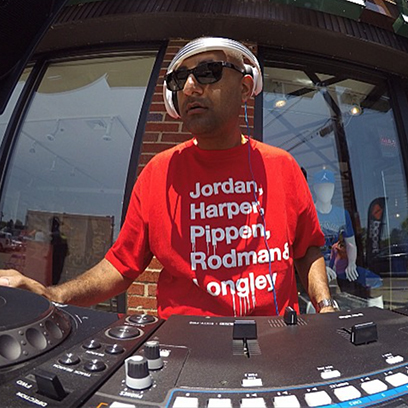 Check out DJ Avi on SoundCloud!